ein hod: thank you ! Have you ever fixed a wobbly restaurant table? thank you ! Have you ever fixed a wobbly restaurant table? Have you ever fixed a wobbly restaurant table by inserting a sugar packet under a leg? Neither have I. 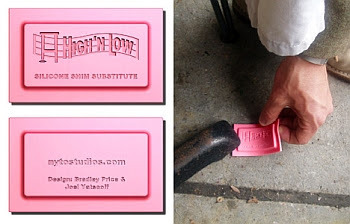 But if you do that sort of thing, this is for you: High 'n Low Silicone Shim.